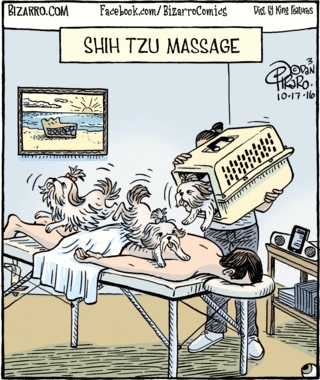 In case you didn’t know that Shih Tzu is the name of a breed of dog, you can infer that from the cartoon, and you can see that the little dogs are (absurdly) being used to give a massage here. That’s funny in a way, but to really appreciate the cartoon, you have to know that there’s a type of massage known as shiatsu. Cultural knowledge looms again. 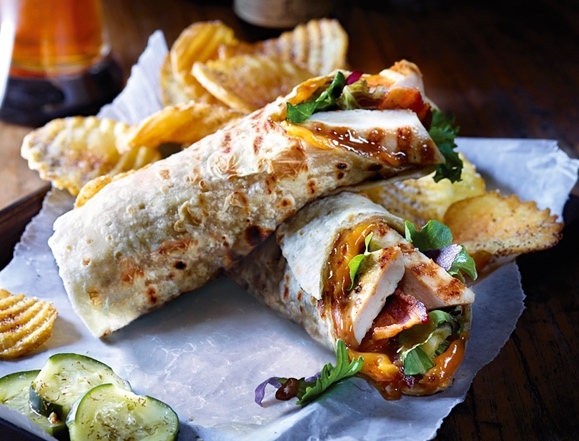 This is one of Appelebee’s new “handheld” sandwiches, a wrap-and-roll inumber that should (depending on the diameter of the roll) be reasonably manageable with one hand. Three things here: the meter of the sandwich name; the notion of a handheld sandwich; and the word piadini. You are currently browsing the archives for the Borrowing category.